Gujarat High Court Bailiff Syllabus and Exam Pattern is quit interesting Subject for All examiner who Apply for this post. Here We will give you All Details About Gujarat High Court Bailiff Syllabus and Exam Pattern. Its Help you lot for Upcoming High Court Bailiff Exam. The High Court of Gujarat has released the Official Notification for the Post of Bailiff/Process server Recruitment. There are a large no. of Candidates are looking for this Exam. And All Candidates have started to prepare for this examination, who applied for this post. 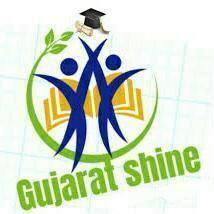 All candidates have eager to know about the recruitment, Gujarat High court Bailiff Syllabus and exam Pattern. Here in this section aspirants will get subject wise High Court of Gujarat Bailiff Process Server Syllabus 2017. Who are hardly preparing to join with this organization must work hard to grab this chance. For the sake of candidates, we are providing detailed and clear Syllabus.